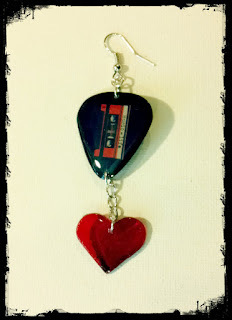 Repurposed Guitar Pick with a heart cut out from a red vinyl record. Reads "Music = Life." Single earring. Dangle DVD material guitar pick earrings with an iridescent shine. 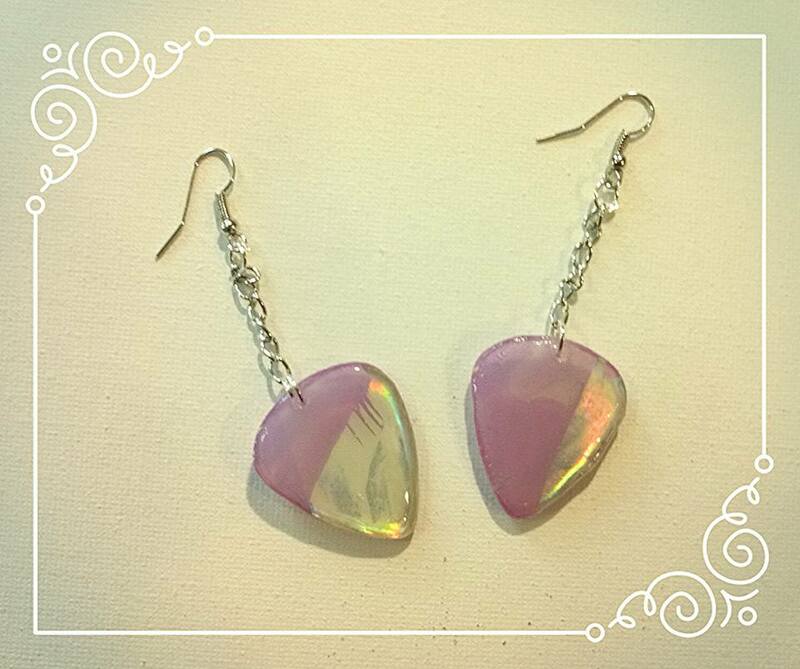 Purple, pink and silver colors.